MRI exams require a referral from a medical doctor or chiropractor. Your procedure also may require an approval or authorization from your insurance company. Our MRI receptionist will make sure your procedure is authorized and your financial obligation is confirmed prior to your appointment. We accept cash, checks, MasterCard, Visa, American Express, and Discover Card for your convenience. COI is affiliated with most insurance companies and has many third party contracts for workers’ compensation cases. We will be happy to bill your insurance carrier. We also offer discounted cash rates for private pay. MRI exams are available by appointment. Bilingual staff available. A 24 hour notice of cancellation is requested. At California Orthopaedic Institute we provide a safe, comfortable MRI exam in a relaxed & friendly setting adjacent to our main facility. 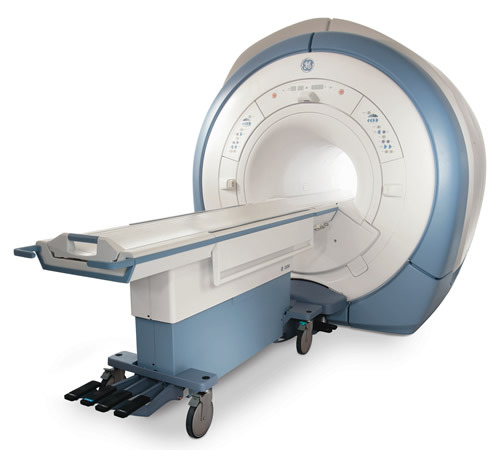 We are equipped with a state-of-the-art GE Signa HDe 1.5T MRI. High definition images are created quickly from practically any angle. Your doctor will see anatomy with amazing clarity and details. In partnership with UCSD, your exam results will be read by board certified radiologists at world-renowned University of California, San Diego. A final report will be provided to the referring physician within 48 hours. Please note that an MRI is available by appointment only. Same day appointments for an exam can be arranged. Note: Our MRI Imaging Center is open to the healthcare community for referrals. 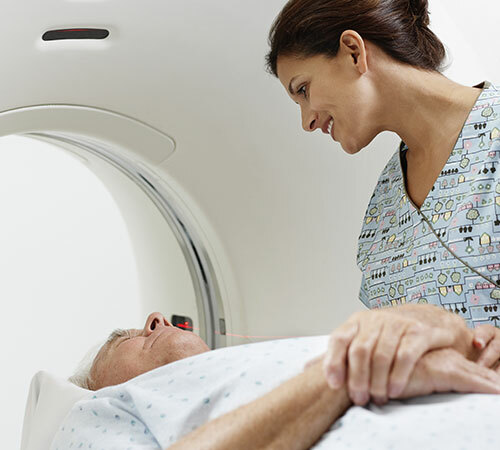 Magnetic Resonance Imaging (MRI) is an advanced imaging technology that enables your doctor to look at various internal parts of your body using safe, magnetic fields, and radio waves. MRI's are a pain free, non-surgical procedure that do not require sedation. This procedure usually takes 30 to 45 minutes and is an important tool in orthopaedic medicine to quickly diagnose a wide range of medical issues and injuries. An MRI exam gives the doctor a clear and accurate picture of the involved body part. You may be required to have your MRI with contrast. Contrast is an intravenous water soluble solution administered in low doses according to body weight. Your doctor will recommend contrast only if you require it. What to wear to your MRI exam? You may wear comfortable, loose fitting clothes and a pair of socks. Please remove all metal objects, jewelry and piercings. We have a private changing room for your convenience and a locker for your personal items.